Abbkine Cell Plasma Membrane Staining Kits are a set of fluorescence imaging tools for rapid staining of plasma membranes. Abbkine Live Cell Tracking Kit (Green Fluorescence) provides a convenient method for monitoring cell movement, location, proliferation, migration, chemotaxis, and invasion. Abbkine Mitochondrial Membrane Potential Assay Kit (JC-1) provides a simple method for distinguishing between healthy and apoptotic cells by detecting the changes in the mitochondrial transmembrane potential. Annexin V-AbFluor™ 555 Apoptosis Detection Kit allows the identification and quantification of apoptotic cells. 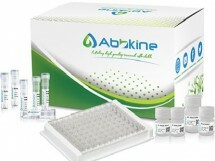 Abbkine Annexin V-AbFluor™ 647 Apoptosis Detection Kit allows the discrimination of intact cells, early apoptotic and late apoptotic or necrotic cells. 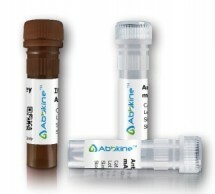 Abbkine Annexin V-AbFluor™ 405 Apoptosis Detection Kit allows the discrimination of intact cells, early apoptotic and late apoptotic or necrotic cells. 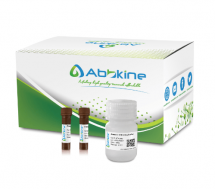 Abbkine Annexin V-AbFluor™ 488 Apoptosis Detection Kit allows the discrimination of intact cells, early apoptotic and late apoptotic or necrotic cells. Cell Counting Kit-8 (CCK-8) - WST-8 Cell Proliferation Cytotoxicity Assay Kit designed to detect cell proliferation and cell toxicity based on WST-8. EliKine™ Human TGF-?1 ELISA Kit employs a two-site sandwich ELISA to quantitate Human TGF-?1. EliKine™ Rat IL-1? ELISA Kit employs a two-site sandwich ELISA to quantitate Rat IL-1?. EliKine™ Rat IFN-? ELISA Kit employs a two-site sandwich ELISA to quantitate Rat IFN-?. Featured Anti-COX IV Mouse Monoclonal Antibody (14Y2), AbFluor™ 488 Conjugated specially designed for your Immunofluorescence analysis. Featured Anti-GAPDH Mouse Monoclonal Antibody (2B5), FITC conjugated specially designed for your WB or IHC analysis. Featured Anti-GAPDH Mouse Monoclonal Antibody (2B5), Biotin conjugated specially designed for your WB or IHC analysis.